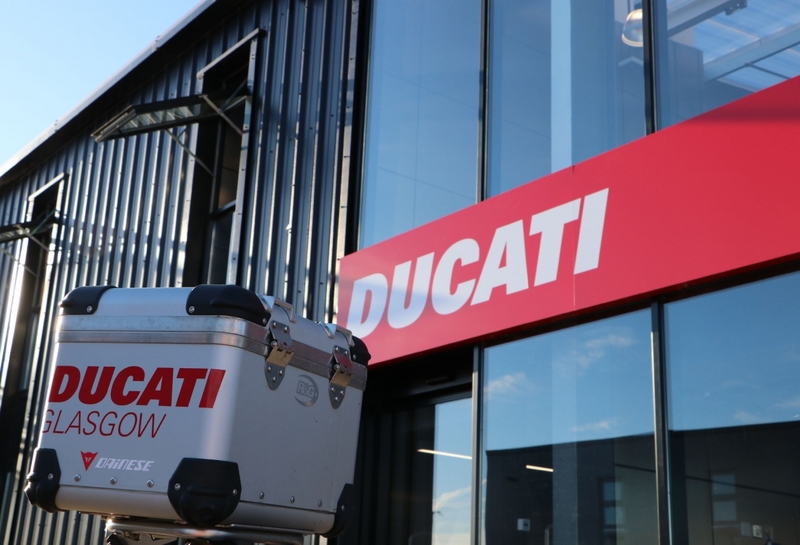 We are a reputable, family owned company and after 15 years of success with Ducati Glasgow we have expanded and taken on the franchise for Triumph Glasgow for the West of Scotland and moved to our new state-of-the-art showroom at Pit Lane, Hillington Park, Glasgow. All our departments are hardworking and committed and we now proudly employ nearly 40 passionate and experienced staff members, almost all of whom are bikers. Opened on March 25th 2017, our state-of-the-art dealership is the largest purpose-built motorcycle dealership in the country and one of the biggest in Europe. A product of a £3.5 million investment which includes a no expense spared, industry leading £150,000 workshop installation. The centrally heated workshop is complete with full under floor exhaust extraction plus auxiliary ambient air cleaning as an additional feature. We also have our own fully fitted kitchen with seating area, wash area and bathroom for our staff. Typical working hours will be Tuesday - Friday 8.30am - 5.30pm and Saturday 8.30am-5pm. Within this role you will be required to work on a full-time basis: occasionally covering weekends, holidays and events and there is the opportunity of overtime through the motorcycling season. 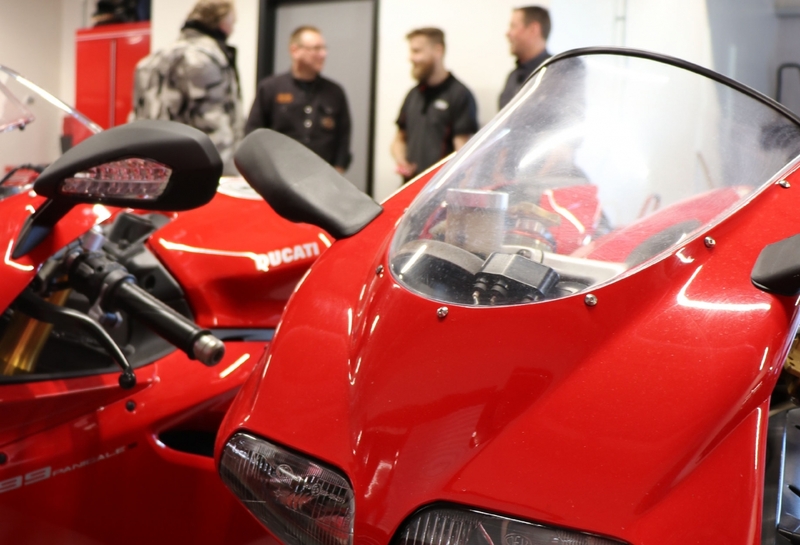 The ideal candidate should be dedicated to, and provide excellent customer service, have a passionate interest in motorcycles and an understanding of the motor trade, specifically the After Sales side of the industry. Candidates must be fully competent in the organisation, booking, scheduling of workshop tasks, with a strong understanding of the repair and service. You should be able to work independently and as a team within timescales and to a high standard retaining a customer focused approach at all times. You will need to be computer literate and able to use PC / office equipment and be professionally organised. Full training will be provided on our web-based software systems and Dealer Management systems. Ideal candidates will have at least two years’ experience within the service industry. Up to date knowledge of vehicle and consumer legislation and trade practices is preferred. You will be required to efficiently communicate with and clearly direct Parts, Service and Sales Teams to optimise performance, ensure quality control and provide excellent customer service. Alongside your customer-centric attitude, you should be commercially minded, passionate about the motorcycle industry, motivated by setting, achieving and exceeding targets. You must be able to work under pressure to a high standard and within a busy environment.